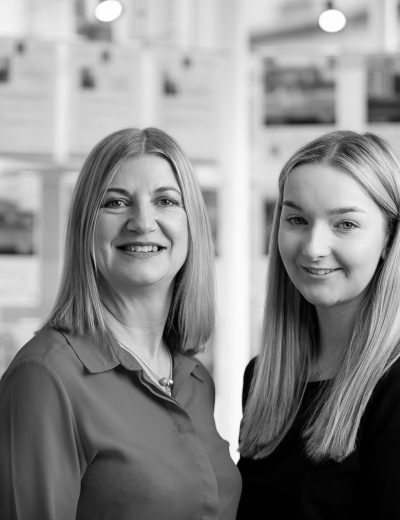 From our Peel office proceed down Douglas Street towards the Market Place, turn left until you come to the halt sign and then turn right down Station Road and right again along the Quayside. Continue onto The Promenade where the property can be found just along on the right hand side, clearly identified by our For Sale board. Stairs to first floor. Connecting door to Apartment 1. Wood Laminate flooring. Coved ceiling. Built-in storage cupboard. Video entry phone. Dual aspect with views to Peel Castle, across the promenade, Peel bay and northwards along the coast. Wood effect laminate flooring. Decorative coved ceiling. Feature fireplace with wood surround and electric fire inset. Decorative central ceiling rose. Fitted with an excellent range of wood fronted wall, base and drawer units incorporating a stainless steel sink unit with mixer tap, integral washing machine, fridge, freezer and electric oven with hob and extractor hood over. Tiled splashback. Wood laminate floor continued. Coved ceiling. Views over the promenade. UPVC glazed door leads from the dining area onto the verandah and staircase down to the Courtyard. Views to Peel Hill. Fitted with a suite of white low flush WC and wash hand basin. Fully tiled walls. Extractor fan. Loft access hatch. Velux skylight. Coved ceiling. Wood effect laminate flooring. Dual aspect with views to Peel Castle, across the promenade, Peel bay and northwards along the coast. Wood effect laminate flooring. Coved ceiling. Currently in use as a study. Fitted with a white suite of bath with shower over and screen, wash hand basin and WC. Wood effect laminate flooring. Fully tiled walls. Ladder style heated towel rail. Extractor fan. Views over Peel Bay. Coved ceiling. Spot lighting. Wood effect laminate flooring. Fitted with a corner shower, wash hand basin and WC. Ladder style heated towel rail. Mirrored cabinet. Fully tiled walls. Wood effect laminate flooring. Down lighting. Entrance door from the courtyard. Built-in storage cupboard. Feature red brick fire recess, illuminated with wooden lintel over and slate tiled hearth. Exposed beams. Decorative coving. Views across the Promenade and Bay. Large built-in storage cupboard. Connecting door to Apartment 2. Door to shared bathroom. Overlooking the Courtyard. With dual access from the 4th Bedroom and the Hallway, the bathroom is fitted with a white suite of bath with shower over and screen, wash hand basin and WC. Tiled floor. Fully tiled walls. Ladder style heated towel rail. Fitted with a modern range of base and drawer units incorporating a one and a half bowl sink unit with mixer tap, electric oven and hob with extractor over, integral washing machine, fridge, freezer and dish washer. Part tiled walls. Tiled floor. Fitted with a white suite of bath with shower attachment, wash hand basin and WC. Fully tiled walls. Tiled floor. Ladder style heated towel rail. Electronic security gates lead into the enclosed brick paved Courtyard. Main Entrance door to the ground floor. Wooden staircase to first floor. The neighbouring property (The Coachhouse) has a right of way over the Courtyard and one parking space outside their garage doors. The property benefits from damp and timber treatment guarantees. The fire alarm and sprinkler system was fully inspected and updated in July 2017. 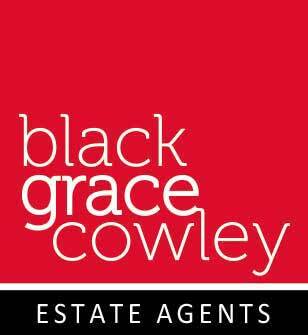 All viewings by appointment through the Agent, Black Grace Cowley.